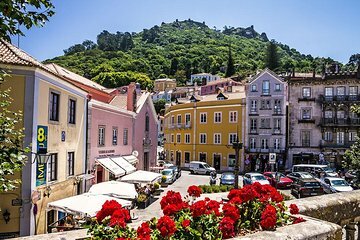 The UNESCO-listed monuments of Sintra are dazzling yet dispersed. Travel between fairytale palaces with ease on a private full-day tour from Lisbon, a great introduction for first-time visitors. With just your guide and private party, you’ll visit Pena National Palace, the historic centre of Sintra, the Castle of the Moors, and Cabo da Roca, the westernmost point in Europe. Hotel pickup and drop-off are included.